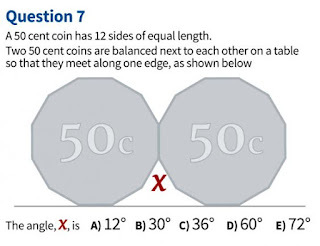 Another maths question has been popping up all over Twitter and other social media. 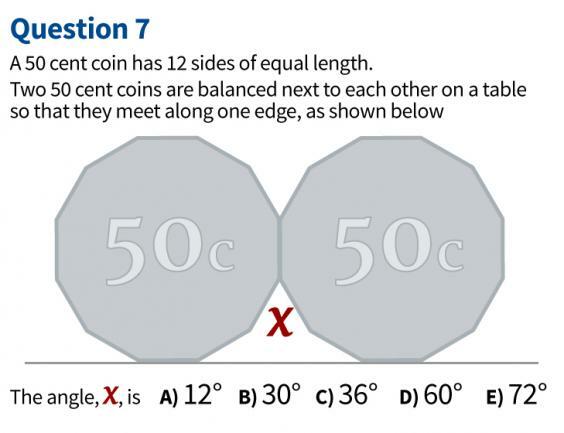 This time the question comes from the Victorian Certificate of Education, an Australian maths exam. where n is the number of sides, i.e. 12. It was fairly easy when you know how! But like Hannah's sweets from the English Edexcel board, the trick is spotting how! Expect more of this type of question in years to come, as the exam boards try to separate out pupils who have just learnt the formulas from those who can spot when to use them! And, of course, social media means we'll get to hear about all of them!